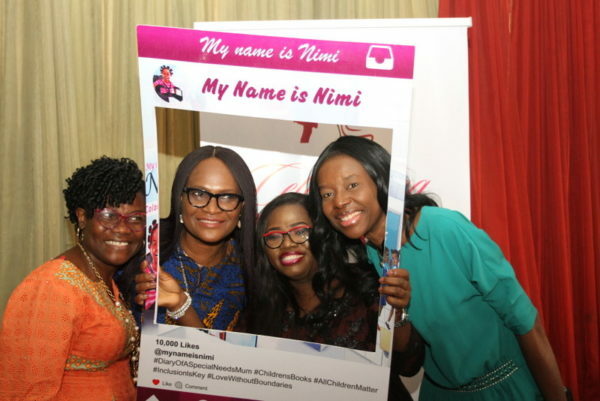 Bukola Ayinde, Founder, Diary of a special Needs Mum Initiative had the launch of her four books last Sunday, 8th of July, which was also her birthday. Her friends and family turned out in large numbers to celebrate this great feat with her. Opening prayer was said by AVM Femi Gbadebo, Founder, Benola Organisation, Opening address by Dotun Akande of Patrick Speech and Languages. 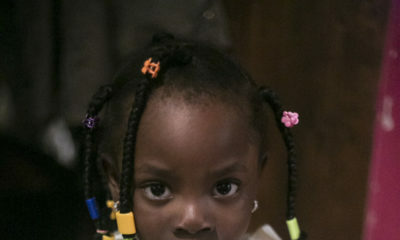 The first review was done by a six year old girl, Uyi Uwumarogie, a pupil of New Hall Nursery and Primary School. While the second was done by Dr. Ogechi Adeola, a member of the faculty at Lagos Business School. The third book review was done by Ifeanyi Omeni, an author and editor. While the last book review was done by Feyi Olubodun, MD, Insight Communication. 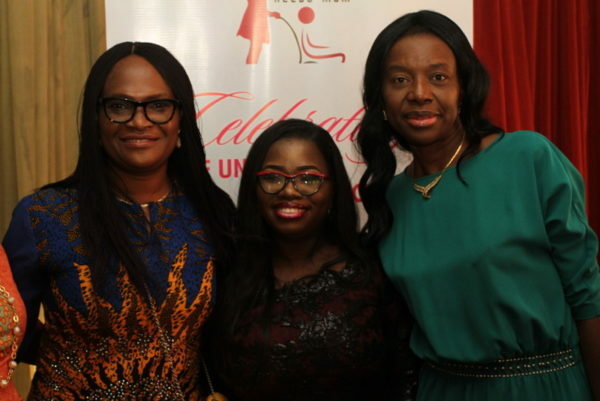 There was also a five-man panel who spoke about ‘Disability and Inclusion’ in Nigeria. 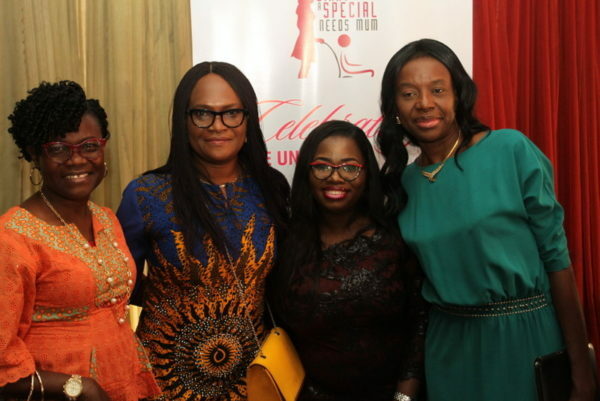 The panel consisted of: The author, Bukola Ayinde, Tobiloba Ajayi, Founder, Let Cp Kids Learn; Folusho Liasu, Founder, Super Parents (of children with disabilities), Bisola Babatude-Idowu, owner, Great Expectation Inclusive School and Korede Oladejo, Kabworld Physiotherapy. 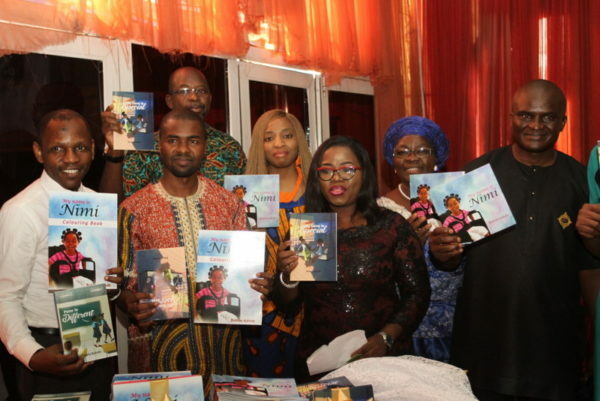 The books were unveiled by Rufai Yusuf Ahmad, National President, Nigeria Society of Physiotherapists. According to the author one of the major problems that people with disability face in Nigeria is stigmatization. This is mainly due to the wrong information that has been passed from one generation to another that children with disabilities are from strange worlds and therefore evil. Bukola hopes with these books, the younger generation will read them and understand that disabilities are medical conditions. 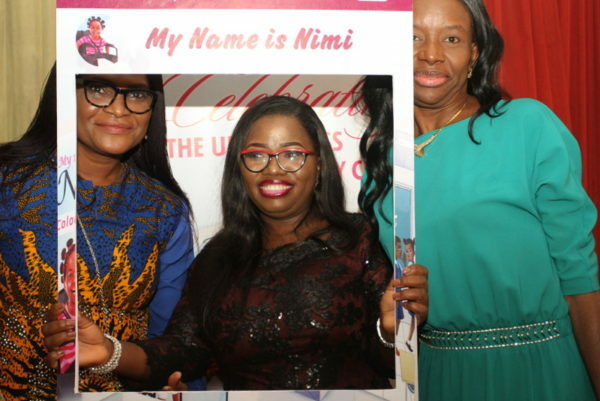 She also hopes that children that read the book would grow up to become law makers, ministers in different sectors of the country, president, teachers, disability advocate who will fight for the rights of people living with disabilities. 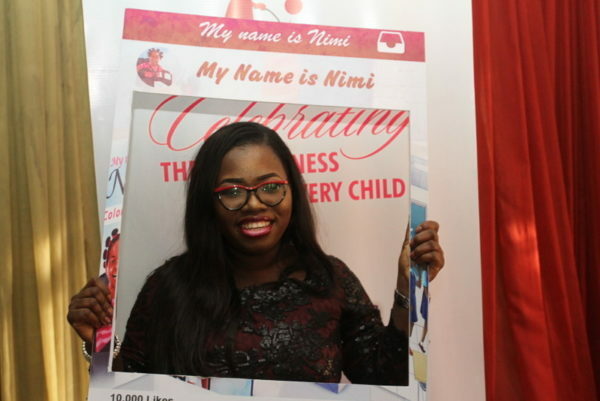 My Name is Nimi (colouring book)- The story of Nimi has a colouring book for younger children. With short sentences telling the story about Nimi with simple words. 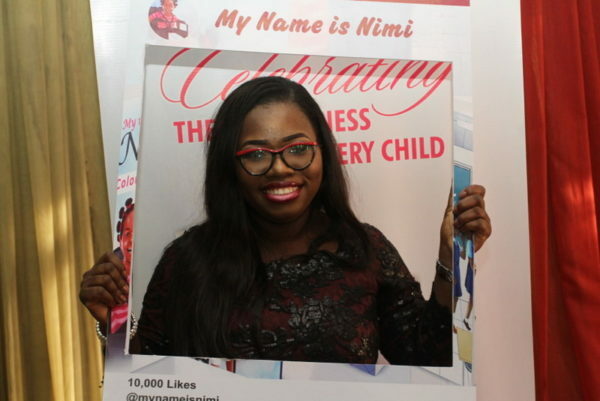 My Sister is Special– The story was inspired by the author’s second daughter, who couldn’t understand the reason Nimi was getting most of the attention at home. The story helps children to appreciate their lives and to know that the grass is not always greener on the other side. It also tells parents to give attention to other children while caring for a special needs child. Peter is different-Ten year old Jude has a new classmate, Peter who looks different from everyone else. This story was inspired by the persistent discrimination faced by children with disabilities in mainstream schools in Nigeria. The author showed how giving students the right information about disabilities could foster love and acceptance. The book also answered the question, who are the true bullies in a mainstream school? Is it the pupils, teachers, school owners or parents of pupils in the school? Find out the answers to these questions and more. The books are available in bookshops in Lagos: Glendora Bookshop, City Mall Ikeja, Bookworm Bookshop at Illupeju, by Oshodi Apapa Expway, Ebano supermarket, chevon road. For home and office delivery kindly contact 08035754038; [email protected]. The books will be available on Amazon in August, 2018. Excellent initiative, this is great! Pls keep it up! This is highly commendable as the education about people with special needs has to be done at all levels especially from childhood. This will help to eradicate any form of discrimination against them. This is a very good intiative, am positive this will help other Nigerians in similar situations. Great effort. These books should be embraced by all to enable good knowledge of people liung with disability as part and parcel of the society. I have sent out the article to parents in my school. This is a unique achievement. You are an amazing woman. well done .well done . the books will be a great spurce of enlightenment for all. keep up tue good work . This is a quite passionate intervention… May your effort and love be crowned with great results! Grace work. Life is all about donation and not duration. May God continue to bless this ministry and empower the founder. This is so touching and revealing..just having a preview of the books. 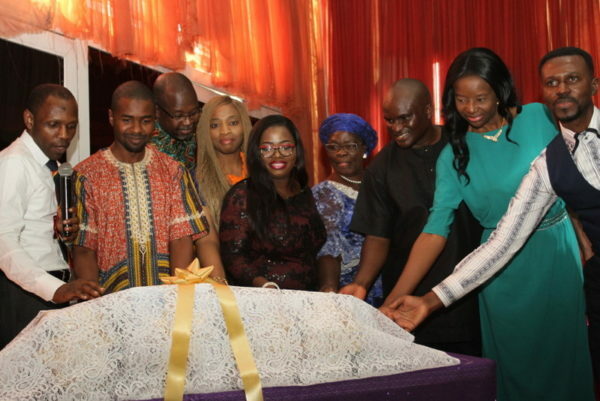 It’s makes one appreciate the extent of Grace and strength of such family with special and miracle children….God bless the Ayinde family and by extension other parents with such grace. I pray for more strength and encouragement for the Bukola Ayinde. Great one Bukola Ayinde. These books will go a long way in changing the narrative around CP and the inclusive education as a whole. Kudos to you and your team. A GREAT work I must comment..keep Soaring HIGHER Ma.. Greater heights you shall attain. Great job ma. More Grace for Global impact! ? Congratulations madam, you have done so well on this journey. May God bless you as you throw more light in this direction at a time as this. This is a good initiative. I encourage every parent to read the books. I’m certain there will be a lot to learn. Kudos madam. This is commendable. God bless you. I’ve always admired your strength and courage.. Brave effort putting these together.. More Grace! This is great work. Congratulations. My dear Buky this heroic outputs deserve robust congratulations. Well done. We are very proud of this. Inspiring to see how a mother sees beauty in what others would otherwise see as challenges. It really is important to teach our children to accept everyone and s3e the uniqueness each child has and how it can add value. Well done ma! Congratulations. The grace of God shall continually avail for you. Well done ma. Greater heights. This is amazing! Mothers and teachers have a lot to learn from these books. Congratulations. The LOAS! You guys are awesome! I salute your courage,you have amazing spirit. 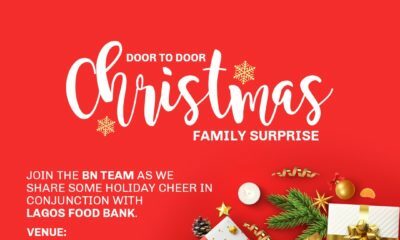 You turned the situation around to benefit the world. Works of your hands shall be blessed beyond measure. Your labour on your children shall be fruitful & the good Lord ,that has control over all things will surprise you positively concerning OluwaloNimi. Thank you everyone for your love and support. God bless you all.